If you’re still thinking about the sun and moon because of the upcoming solar eclipse, here’s a fun moon craft with a great technique that I’ve never tried before. 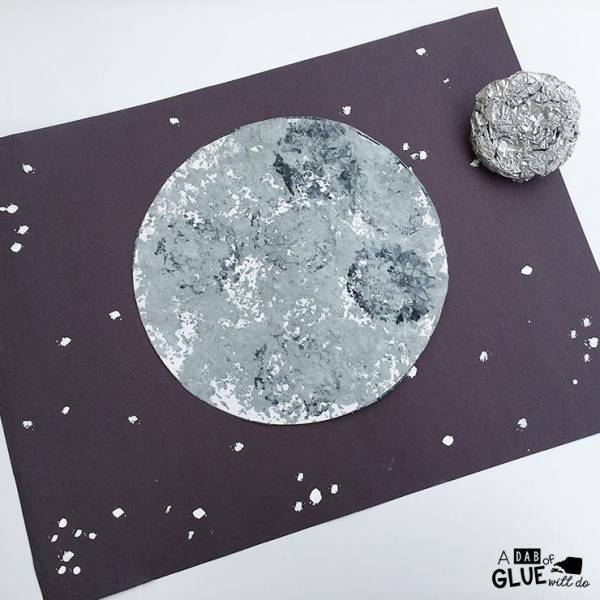 This foil-printed moon from A Dab of Glue Will Do involves using a molded piece of foil as a stamp to paint on the texture of the moon. It looks really cool and would be a great addition to your solar eclipse projects or a moon or space unit study.